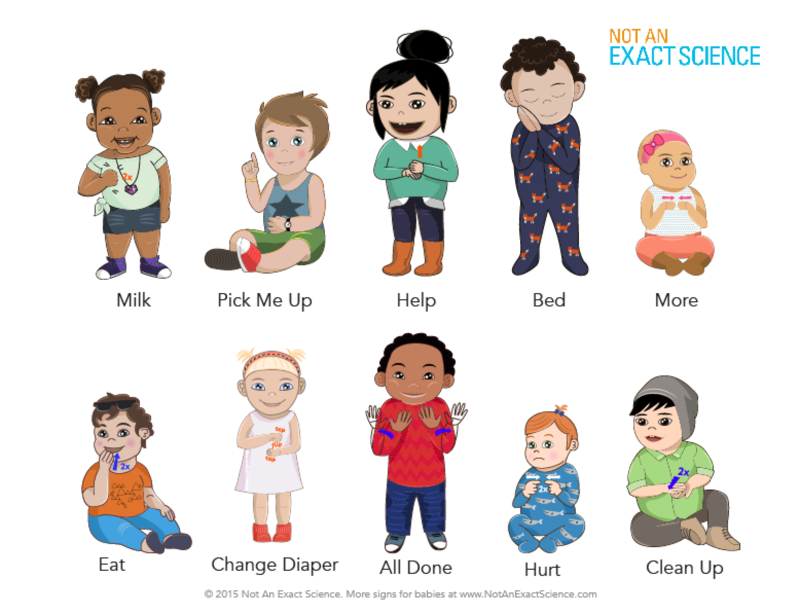 Click to view a video of a Starter Sign, which are great signs to start with because your baby either needs, wants, or is super interested in the sign – in our Baby Sign Dictionary – with ASL signs checked by native speakers. You’ve reached the end of the page. While you’re learning, get a free printable emailed right to you to print out and put on your wall. It includes babies signing 10 most used signs.